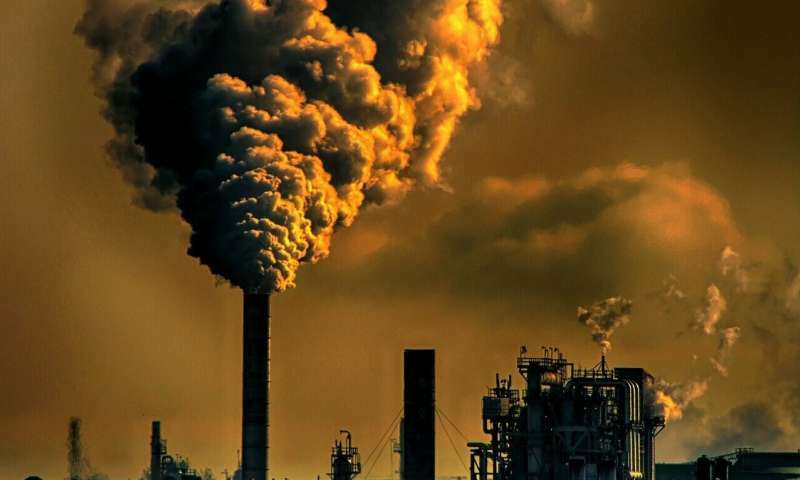 A team of experts convened by Professor Sir Charles Godfray of the Oxford Martin School has found evidence that suggests humans are dumping more chemical waste into the environment than can be tested for its impact. In their paper published in Proceedings of the Royal Society B, the group describes their review of recent research surrounding the amounts and types of chemicals being dumped into ecosystems and what they found. For many people, pollutants dumped into ecosystems evokes images of pipes pumping waste into rivers from large industrial complexes. But the actual picture is far more complex. Agricultural runoff is a major pollution problem, as are landfills leaking chemicals into water sources. There is also the growing problem of chemicals being washed down the drain in kitchen sinks and, perhaps worse, down bathroom shower drains and toilets. Humans produce thousands of chemicals and use them in wildly different ways—from chemicals to make our lawns grow to chemicals in birth control pills that show up in our urine. In this new effort, the researchers claim that the world now collectively dumps more chemicals into the natural environment than can be tested—and because of that, we really do not know what damage it may be causing. What most concerns the researchers is the rate at which new chemicals are being introduced and used and which eventually wind up in natural ecosystems, which is so high that there is no way to test their impact. We may be flushing chemicals into the ocean right now that could potentially kill off most if not all marine animals, and not even know it. They conclude by suggesting that more work is required to investigate the problem and to look for ways to address it. But of course the environment "tests" our chemicals for us in ways the industry laboratories don't-- each one in combination with all. Industry labs test the chemicals they "invent" and monetize singly or in relatively small numbers of combinations under limited conditions. Once these chemicals are judged "safe" by increasingly hamstrung regulatory agencies with revolving door employment relationships with the industries they are tasked with overseeing, they are released into the air, water, and soil where they interact in unknown and untested ways with one another, being transformed in unimagined ways-- by UV light, for instance and bioprocessing by the food chain from microbes on up-- that we consumers are willing to be willfully uninformed about. Thus we unleash upon ourselves and our world the Law of Unintended Consequences, with exponential results as technology explodes-- figuratively and literally.